Tag Noise attracts unwanted attention from other dogs. Installs in seconds without tools, and features a genuine 3M Scotchlite reflective logo for safer walking after dark. No snaps to rust, unlike some of the 'collar wallets' currently on the market. 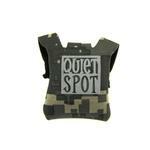 Easily enclose 3, 4 or more tags in Quiet Spot! Made in the U.S.A., in beautiful Denver, Colorado! 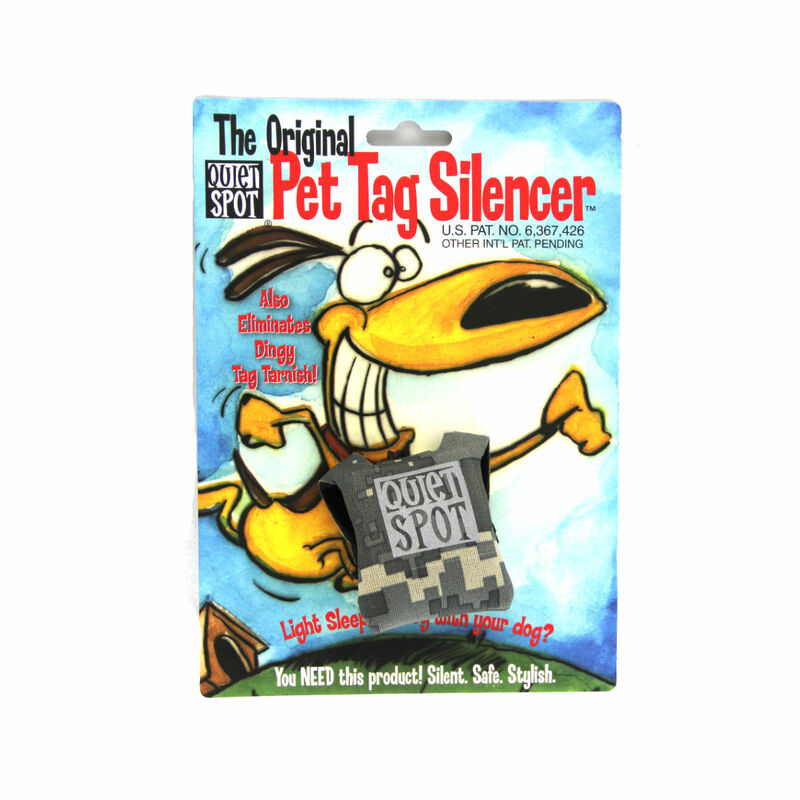 ANY product hanging from your dog's collar has to be tough and well made to hold up to the daily abuse your dogs can dish out. Most people get 2-4 years from a Quiet Spot, but even if it only lasted one year, you get peace, quiet, and the comfort of knowing your phone number is legible on his ID tag. Made in the USA. Had to Buy One for my Dog Bailey!! 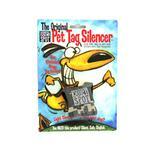 The Pet Tag Silencer "Quiet Spot" is the hardest item to find locally at petstores in San Francisco. It's rumored that the company stopped making them -- No one knows why. So, luckily BaxterBoo had a couple I purchased for current doggie clients staying over the holidays -- And my dog, Bailey in color digital camo. Thanks BB for the quick ship too! So far so good. I have enjoyed the shopping experience and checked in with Retailmenot.com and got free shipping and another 10% off today. Yippee Yahoo! I'm a happy lady.